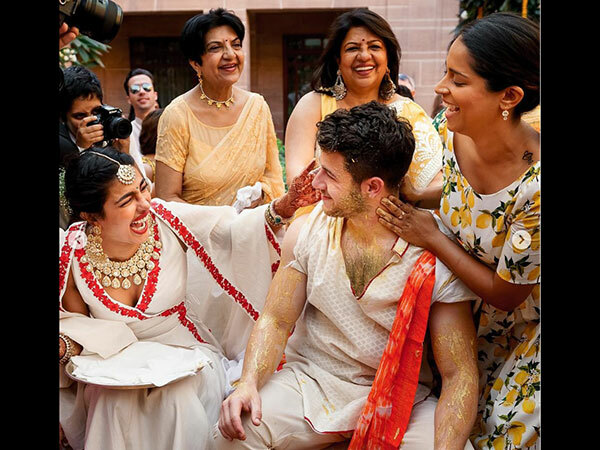 ‘Desi girl’ Priyanka Chopra got hitched to Nick Jonas in a grand way at the majestic Umaid Bhavan Palace in Jodhpur. Later, their pre-wedding and wedding pictures took the internet by storm and left everyone asking for more. 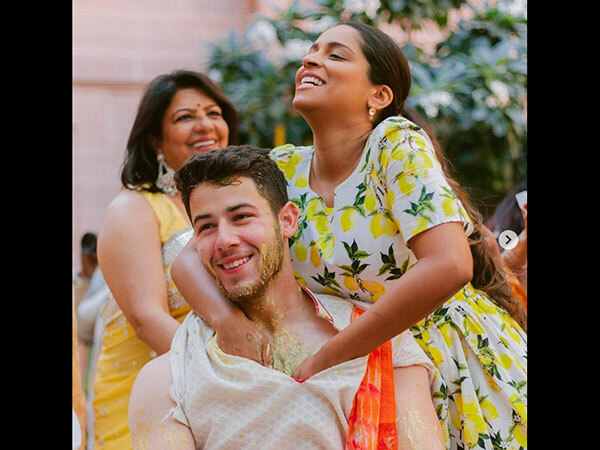 YouTuber Lilly Singh aka ‘IISuperwomanII’ who also attended the grand wedding recently shared some clicks from ‘NickYanka’s haldi ceremony. One look at those playful pictures and boy, you won’t stop smiling over them. 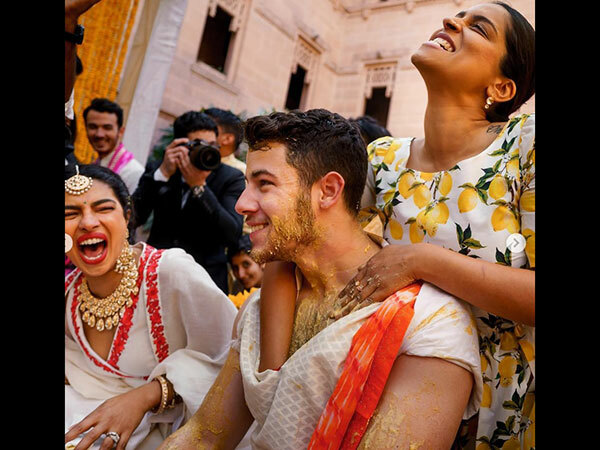 The ‘Quantico’ actress looked amused to see Nick’s haldi-smeared avatar. Just look at Lilly Singh’s playful expression and Priyanka who just can’t seem to control her laughter. This Is All Things Fun! Looks like Lilly is following Priyanka’s instructions to T and is showing no mercy on the ‘dulha’. Meanwhile, PeeCee’s mommy Madhu Chopra is all smiles in the background. 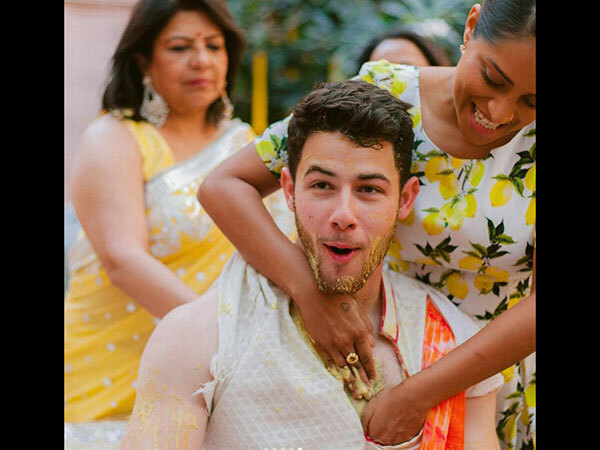 Nick has a look of surprise on his face as Lilly slips her hands down his kurta to smear some turmeric. 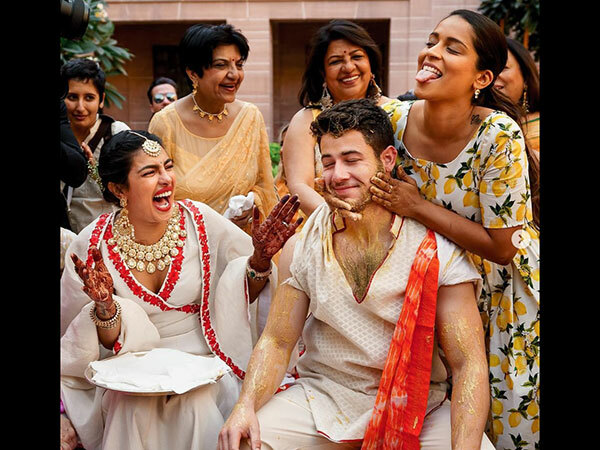 Priyanka and Nick got married in a multiple-day event as per Christian and Hindu traditions at Jodhpur’s Umaid Bhavan Palace. They shared glimpses from their special days on social media which included a song-and-dance competition, vintage cars, and other ceremonies. ALSO READ: Gully Boy FIRST Reviews: Ranveer Singh’s Career Best Performance, Alia Bhatt Is A Show Stopper!